Emmanuel completed a PhD on physical activity and childhood obesity at the University of Bristol (UK). Between 2003 and 2014 he was based at University College London where he initially led the development and implementation of physical activity measures in large-scale nationwide epidemiological surveillance studies. He was subsequently awarded a Postgraduate Fellowship Award (2007) and a Career Development Fellowship (2011) by the National Institute for Health Research to studying the influence of physical activity, sedentary behaviour, and cardiorespiratory fitness on cardiometabolic and mortality. 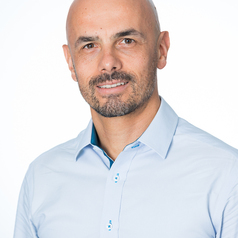 He joined the University of Sydney as an Associate Professor of Exercise, Health, and Physical Activity in early 2014, currently he is a National Health and Medical Research Council Senior Research Fellow at Charles Perkins Centre and the School of Public Health. Emmanuel leads a research program of epidemiologic and interventional research investigating how lifestyles and health related behaviours (physical activity, sedentary behaviour, screen time, alcohol consumption, sleep, dog ownership) influence cardiometabolic health, mental wellbeing and mortality risk; and how the socioeconomic environment influences these lifestyle health behaviours and their health effects. He is the leader of the Charles Perkins Centre project nodes on Incidental Physical Activity and Sedentary Behaviour; and Dog Ownership and Human Health. He leads numerous international collaborations involving major epidemiologic cohorts such as the 1970 British Birth Cohort, Whitehall II, 45 and Up, the Health Survey for England, and the UK Biobank. He has published extensively in all leading epidemiology, preventive medicine, and exercise journals as well as in major medical, cardiology and multidisciplinary journals such as BMJ, JAMA Internal Medicine, JAMA Psychiatry, Proceedings of the National Academy of Sciences, and the Journal of the American College of Cardiology. He has received funding from numerous major UK, Australian and international funders. His work is regularly featured in Australian and international TV, radio, and print and online media.